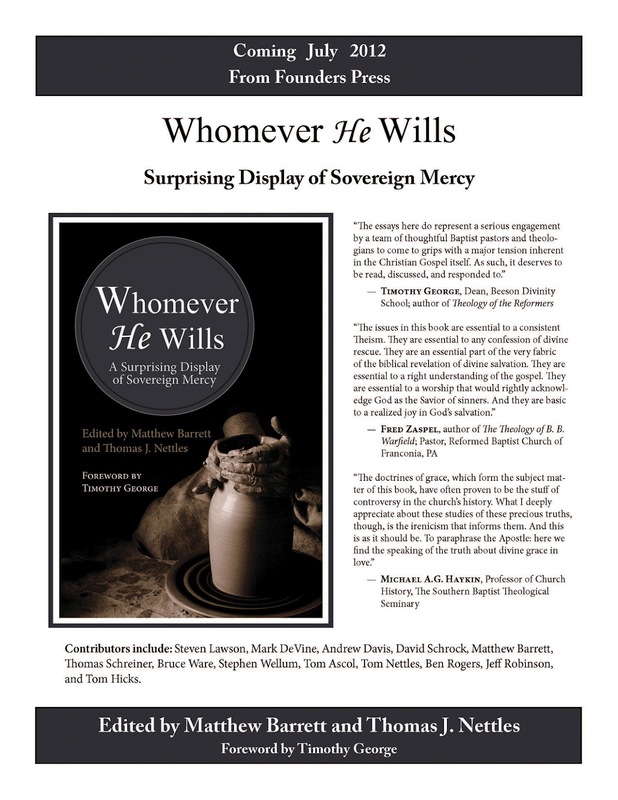 The electronic versions of Whomever He Wills: A Surprising Display of Sovereign Mercy, edited by Tom Nettles and Matthew Barrett, are now available. Until September 1, 2012, 3PM Eastern time, you can purchase an electronic version for only $2.99. EDIT: Due to the tremendous response and in recognition of the holiday weekend you may still secure a copy of this important ebook at a greatly reduced price. Now through Labor Day it is available for $4.99. After this, it will be available for it’s regular price. After that time the electronic versions will continue to be available at the regular price. Click the links below for more information.